Marshall Thundering Herd @ Virginia Tech Hokies NCAA Football Week-14, Betting preview for Saturday, December 1, 2018. Written by NCAA Football Expert Point Spread Analyst Greg Nelson. Charliessports.com produces it for Football Betting. College Football ATS Betting Picks are the best in the industry and will continue through the BCS-title game in 2019. 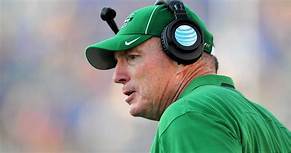 The (8-3) SU, (4-7) ATS Marshall Thundering Herd spoiled Florida International University chances of playing in the C-USA title game with a 28-25 upset victory as 3’point road UNDERDOGS ATS. Hurricane Florence ruined the Herds trip to South Carolina on September 15th, and now they get an extra week for practice for the trip to the Big Easy vs. Louisiana Monroe in the R&L Carrier bowl. The OVER is 4-0 Marshall last four vs. ACC opponents. Marshall is 6-3 ATS their last nine on the road. OVER bettors have cashed in 5 of the Herds last seven overall. The Thundering Herd are 3-7 AGAINST THE POINT SPREAD their last ten overall. 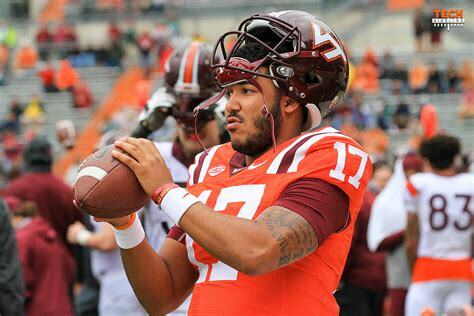 The (5-6) SU, (4-7) ATS Virginia Tech Hokies broke a four-game losing streak with a 34-31 victory over in-state rivals Virginia as 4-point home UNDERDOGS ATS. Hurricane Florence also derailed the Hokies September 15th matchup with East Carolina and with another win they have a chance to become bowl eligible with a win Saturday against Marshall. The Hokies wish their Saturday matchup would be for the ACC title, but it’ll be Pittsburgh representing the Coastal division. Virginia Tech is 1-6 ATS their last seven overall. The UNDER is 6-1 the Hokies last seven after rushing for more than 200 yards their previous game. The Hokies are 1-4 AGAINST THE POINT SPREAD their last five at home. OVER bettors have profited in Virginia Tech last four following an SU victory. 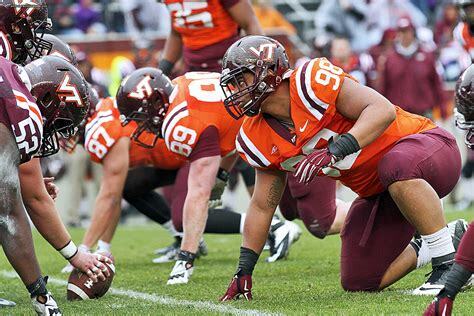 Saturday’s game is at 1:00 PM EST at Lane Stadium on campus in Blacksburg, Virginia. The ESPN App Network will be broadcasting. The Opening Betting Line has Marshall as 4′ point road UNDERDOGS ATS. The TOTAL is 53 Points for Saturday’s contest. 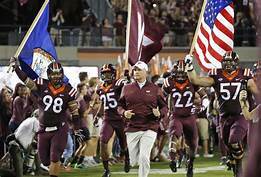 Expectations for the 2018 Virginia Tech began on a high note with an impressive Labor Day weekend 24-3 victory at 13th ranked Florida State as the Hokies climbed in the polls. However, it all went downhill during a September 24th road loss to Old Dominion when quarterback Josh Jackson was lost for the season with a broken fibula. Head Coach Justin Fuente was forced to go with Kansas University transfer Ryan Willis (2,185) passing yards, and they went 3-6 SU. The Virginia Tech (4,669) yards of total offense ranks 75th in the FBS, and average (251.7) yards per contest through the air. Running Back, Steven Peoples (682) rushing yards leads an attack that averages (172.7) ypg on the ground. Longtime defensive coordinator Bud Foster still has the lunch pail mentality, but it hasn’t transferred to the field in 2018. The Hokies 74th ranked defense has given up (4,795) total yards which translate to (435.0) ypg and opponents score an average of (31.6) ppg. Virginia Tech is getting gashed at the line of scrimmage which is unusual for a Foster run defense as they’re giving up (204.2) ypg on the ground. A win will get Virginia Tech in a bowl, but Marshall is a hard-nosed football team and will accept the challenge. Bovada.Lv, list the Marshall Thundering Herd at 8′ total wins for 2018-19. The fans in Huntington, West Virginia saw their team beat both Florida Atlantic and Florida International this season, but a 10-point home loss to Middle Tennessee kept them from winning the East division of Conference-USA. Head Coach Doc Holliday saw his team win five of six since the terrible loss to MTSU and will have them ready Saturday. Quarterback Isaiah Green (2,018) passing yards leads the nations 110th ranked offense (4,162) total yards. Running Back Tyler King (655) rushing yards lead a ground game that produces (148.9) yards per game rushing. It’s the other side of the Football where the Thundering Herd is best, and last week they held an FIU offense that averages (34.6) ppg to 25 points. The Marshal defense has given up (3,573) total yards this season which ranks 13th in the FBS. Only Michigan State, Clemson, and Texas A&M rank higher than the Herds run defense in all of College Football whc=ich will give them a distinct advantage Saturday. Holliday would also like to be participating in the Conference game, but a strong showing could attract recruits from the Tidewater area which serves as a hotbed for Virginia Tech. Marshall must stick to the game plan of running the football and controlling the line of scrimmage to pull off a mild upset. The Herd is also 4-1 SU on the road while Virginia Tech is. Bovada.Lv, list the 2018-19 Virginia Tech Hokies at Over/Under 7′ wins. Free Pick. Marshall+4′ Points. Also Play Online Poker Plus Other Casino Games and enter some of the best Tournaments on the World Wide Web. Virginia Tech still bringing a Lunch Pail mentality to the gridiron. Written by NCAA Football Expert Analyst Bobby Wallace. Charliessports.com produces it for Football Betting. College Football Betting Predictions are the best in the industry and will continue through the BCS-title game in January of 2019. Since coming to Blacksburg, Virginia from the University of Memphis Justin Fuente has not entirely won over the faithful but a trip to the 2018 Conference title game could quite the critics. In 2016 Virginia Tech won the Coastal division and gave eventual BCS champions Clemson all they could handle before bowing 35-24. Last season they took a step back as Miami took control, but the Hokies ended up with ten victories and a number-sixteen national ranking both in the Coaches and Associated Press polls. The 2018 Hokies will get tested the first game of 2018 at Doak Campbell Stadium in Tallahassee, Florida against the Seminoles of Florida State in Willie Taggart’s debut. The non-conference slate is relatively easy, but they host Notre Dame, Miami, Georgia Tech, Boston College and rivals Virginia which all will be competitive games. A trip to Pittsburgh could have implications. For the first time in the Fuente era they have an incumbent signal caller, Sophomore Josh Jackson (2,991) passing yards has a year of experience with it came to a vote of confidence from the coaching staff in spring drills. The offensive coordinator has the task of getting the unit to a comfort zone for Fuente which is a balance of scoring plenty of points through the air and on the ground. Wide Receivers Sean Savoy and Eric Kumah must replace the production of the Hokies all-time leading pass catcher Cam Phillips. There’s also senior C.J. Carroll along with Ball State transfer Damon Hazelton. The Virginia Tech rushing attack didn’t scare opponents last season, they ranked fifty-fourth on the national scale and was next to last on average yards per carry in the Atlantic Coast Conference. Massive offensive tackle Yosuah Nijman is the headliner in a group that returns two other starters to block for compact running back Steven Peoples who won’t win many foot races but will run over defenders. 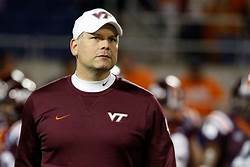 Fuente must use disguises in formations; the Hokies aren’t explosive enough to compete for with the elite football institutes in the ACC. When talking about Virginia Tech defense the first name that comes to mind is Bud Foster who’s twenty-third season serving as the Hokies defensive coordinator is unmatched in College Football. However, two first-round draft selections must be replaced along with stud tackle Tim Settle and defensive back Greg Stroman. Virginia Tech allowed the opposition (14.8) ppg last season, fourth nationally and if they are nearly as good this season, Foster should have a monument on campus. Ricky Walker is the leader of what should be a productive front four, but there is inexperience in the back seven. The coaching staff hopes special teams standout Dylan Rivers will make an immediate impact at linebacker, but he was shaky in spring football. 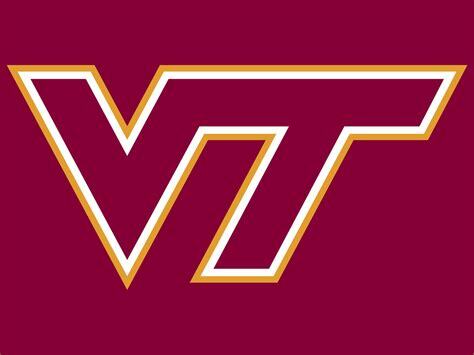 Cornerback and safety will be inexperienced, but Foster has plenty of recruiting connections in the Hampton Roads area which has been a goldmine for Virginia Tech for producing secondary players; look for a couple of first-year students to become immediate starters this season. Bovada.Lv, list the Virginia Tech Hokies at 16/1 to win the 2018-19 Atlantic Coast Conference Crown. Free Pick. 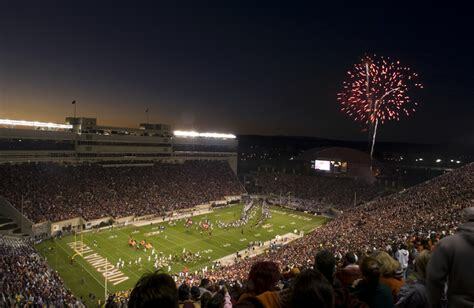 The 2018 Virginia Tech Hokies will go 7-5 in the regular season Also, Play Online Poker Plus Other Casino Games and enter some of the best Tournaments on the World Wide Web.